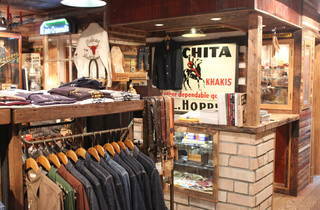 If it’s ‘faithful reproductions of vintage garments’ you want, this Ebisu shop is your stop. They go to great lengths when researching actual vintage pieces, recreating originals down to the threads and the production process. Warehouse products can really make you feel the past, as their textures and looks are practically indistinguishable from real vintage items. The focus here is more on experimentation than trends – something that tends to attract denim enthusiasts, many of whom visit from great distances. Their classic ‘1001XX’ line is based on the design and colour calibration of actual 1950s items, and was recently updated for the first time since its 1995 launch. 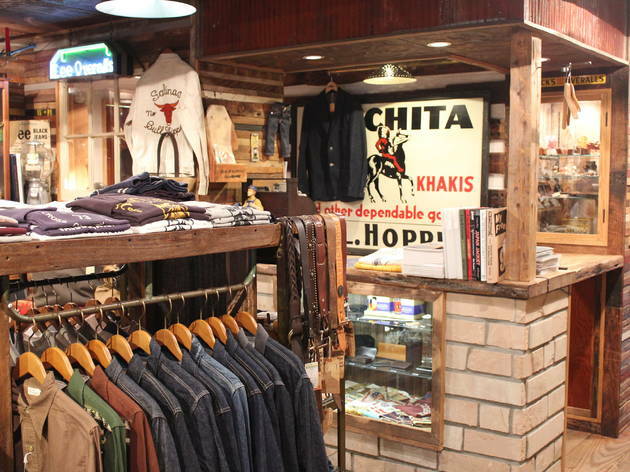 Warehouse also stocks simple-looking but authentic items based on traditional workwear – a stylish line that appeals even to those of us who aren’t denim connoisseurs.